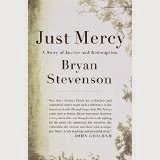 Reading: Finished Just Mercy: A Story of Justice and Redemption by Bryan Stevenson yesterday. Stevenson, who has been called by the Rev. Desmond Tutu, “America’s young Nelson Mandela,” is a lawyer who since the 1980s has taken on the overreach of the criminal justice system, particularly against the black men. He founded Equal Justice Initiative in Montgomery, Alabama, and initially worked to overturn the sentences of those on death row. He expanded that work to fight for mercy and justice for incarcerated children, women and the mentally disabled. One of his earliest and most defining cases involved the trials of a black man, Walter MacMillian, who served six years on death row for the murder of a white woman, a murder he didn’t commit. The miscarriage of justice, illegal manipulation and withholding of evidence by the prosecution, the Sheriff and others involved was so egregious that it makes for a great story, and has thus been told before on 60 Minutes (which played a role in Walter’s freedom) and by investigative journalist Pete Earley in an Edgar Award winning book, Circumstantial Evidence. Ironically the murder and miscarriage both take place in Monroe County, Alabama, where Monroeville, the town and courthouse made famous by Harper Lee’s To Kill a Mockingbird. Still Listening to: Rebel Yell, by S. C. Gwynne’s, biography of Stonewall Jackson. 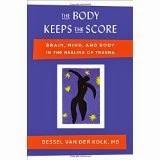 The book recounts Van Der Kolk’s work with veterans, survivors of sexual abuse and other forms of traumatic stress. Moreover, it explores the effects of that trauma and pathways to recovery – many of which are not pharmaceutical. I don’t know why I am suddenly in this non-fiction mode, particularly one that looks at some of the most wounded parts of contemporary society. I’m feeling slightly assaulted by some very bleak statistics, even as I am hopeful and uplifted by work done in these fields. My immersion seems somewhat accidental, partly dictated by book group (Just Mercy) – and I’m not sure how much more deeply I want to go in this direction. SO, I am looking for something upbeat and maybe a good page turner. 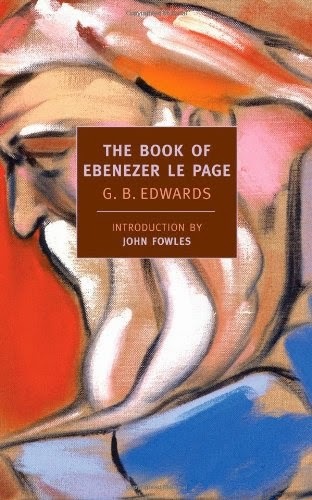 Dipping my toes into G. B. Edwards “The Book of Ebenezer Le Page,” which was recommended by my sister-in-law, Liz, to see if that might do the trick. Or maybe I’ll order the new Neil Gaiman book. Watching: The last season of Justified. Oh, Raylan, Boyd and Ava -- please don't go. Also NCIS, Criminal Minds, Elementary and Blacklist. Getting tired of: the cold in Virginia. I've been indoors too much this week. Grateful: I’m not still living in Maine (amidst a blizzard) this weekend. Those seem a bit heavy going. I'm not a great reader of non fiction though I am a great buyer of it. Somehow between the act of purchasing the book and the moment when it comes to open it my enthusiasm wanes and I go running off in search of a fiction option. TBR pile first. Feeling a little overwhelmed by it. Just Mercy sounds good...I am always up for a good legal story. Thanks for sharing...and for visiting my blog. It is appalling and inspiring at the same time. I find myself reading too many starkly realistic pieces at times and I, like you, start to long for a little light relief. My light relief often takes the form of a good mystery. It sounds like we could both use more upbeat or uplifting reading after bleak nonfiction. West Canada is apparently warmer than DC & Va these days, crazy isnt it? Cold, but I have just planted some Kale and chard seedlings indoors. I am hopeful that come March temps will rise.